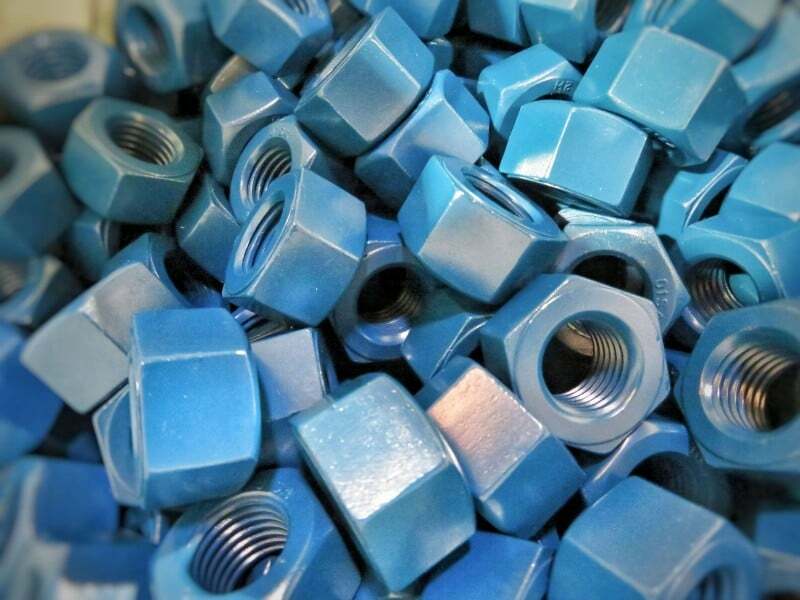 Metal Coatings Corp. has perfected the fluoropolymer fastener coating process. Surface preparation of the fastener prior to coating is a very important step. We use the latest industry accepted methods to thoroughly clean all contaminants from the fasteners. Manufacturing oils, rust and scale are removed to ensure the highest quality coating. In our fluoropolymer coating process, superior corrosion resistance is created by the application of a series of coatings. A metallic base coat is applied first, followed by an adhesion coat. The adhesion coat creates a chemical bond between the base coat and the top coat. The top coat, a heat cured fluoropolymer coating containing PTFE, is used to seal the two under coatings and give easy on/easy off characteristics. 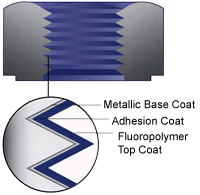 This combination of coatings creates the FluoroKote #1® process. surfaces, even inside the nuts.